She has been appointed as the Assistant Secretary-General for Safety and Security at the United Nations. 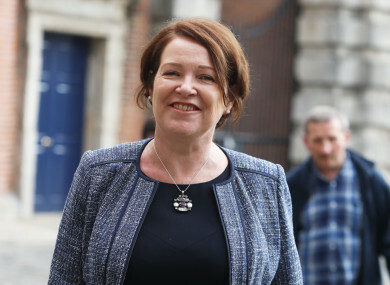 FORMER GARDA COMMISSIONER Nóirín O’Sullivan has been appointed as the Assistant Secretary-General for Safety and Security at the United Nations. As deputy to the Under-Secretary-General for Safety and Security, O’Sullivan will be responsible for the day-to-day overall management of the Department and support of the USG in overall leadership and management. O’Sullivan announced her retirement from the Gardaí in September 2017 following months of calls from the opposition for her resignation. The Disclosures Tribunal has since found that there is no “credible evidence” that O’Sullivan “played any hand act or part” in any campaign against McCabe. In October 2017, O’Sullivan was appointed the Director of Strategic Partnerships for Europe in the International Association of Chiefs of Police. A statement from the UN reads: “Ms O’Sullivan brings to the role her extensive experience in international safety and security management, strategic management and leadership. Email “Nóirín O'Sullivan has another new job - this time it's with the United Nations”. Feedback on “Nóirín O'Sullivan has another new job - this time it's with the United Nations”.